In the crowded world of apps right now, standing out among picky consumers is extremely difficult — and it gets even harder when you have a game that is similar to those already on the market. 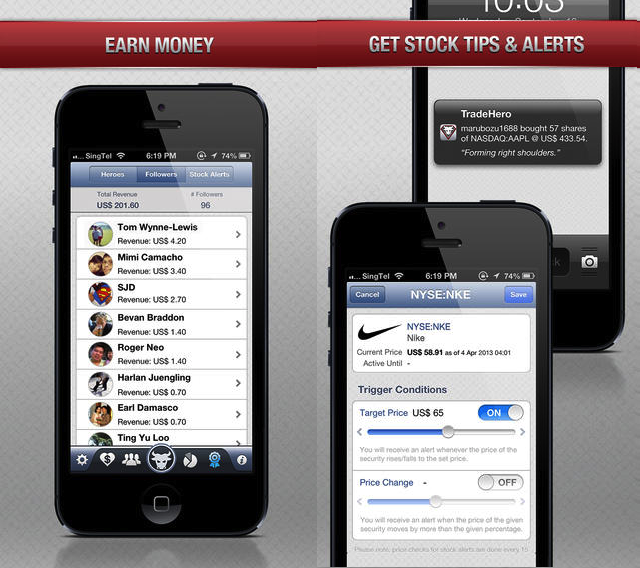 Singapore-based mobile virtual stock market game TradeHero, however, has managed to catch the eye of consumers despite competing with others such as Wall Street Survivor, StockTwits and iTrade. The app has reached the number one position in the Apple App Store’s finance category in 75 countries since its launch six months ago, and has acquired 250,000 users over 200 countries so far. And today, MyHero Limited, the company behind TradeHero, announced that it raised $10 million in funding from Kleiner Perkins Caufield Byers China fund (KPCB China) and IPV Capital. 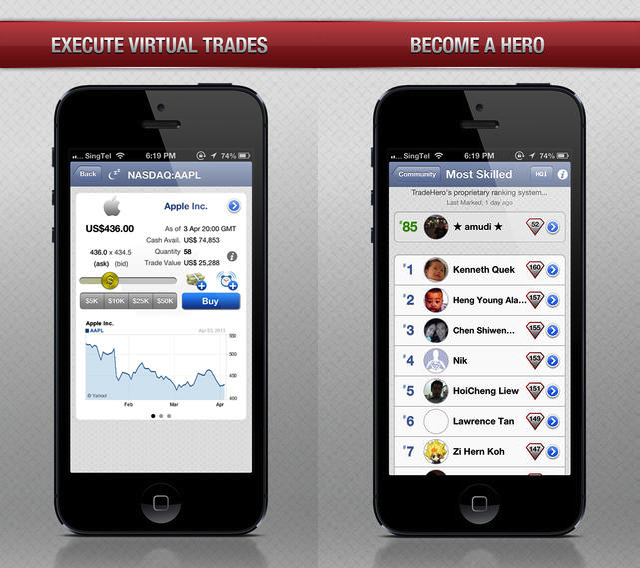 Basically, the TradeHero game has a similar concept to Fantasy Football – you trade on TradeHero’s virtual platform with a $100,000 starting portfolio, and the market moves according to whatever is happening in real life. Users are then ranked on a leaderboard based on a basket of metrics, including how much profit they have raked if the trade had been conducted in reality. So what, you say. Plenty of games out there have leaderboards. What makes this unique is that users can basically copy the actions of the leaders in TradeHero and tap into the knowledge they have. Users who want to follow someone on the leaderboard (likely because they want to replicate the trading in real life to rake in some profit) will have to pay a fee, and part of this fee goes to the “leader” user, acting as an incentive to trade seriously on the platform. One aspect is learning and the other aspect is increasing your learning and transferring your learning to real life… it’s looking for a lot more functionality and utility that people can benefit from. Despite being a virtual stock market game, Bhatia describes TradeHero as essentially being a”financial literacy tool” — in which you are able to gain knowledge via play. MyHero also has much to do to catch up in Asia, as TradeHero is not available on Android yet whereas a large part of Asia uses Android devices. Business development director Gary Gan says the Android app is in the works and will come “very soon”.